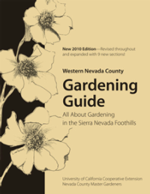 The Curious Gardener is a quarterly newsletter produced through the combined efforts of Master Gardeners from the Placer and Nevada Counties' Master Gardener programs. High-quality gardening content is featured each issue, and may be downloaded electronically. Can A Compost Pile Spontaneously Combust?